making them the rarest of all Ragdolls. be at full grown age. 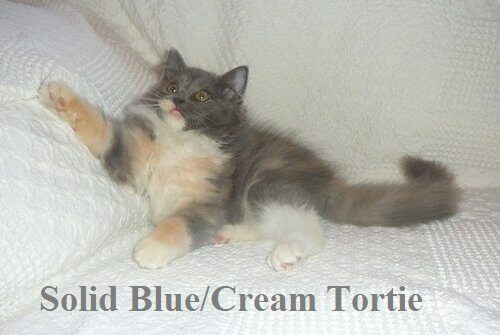 cream, blue/cream and calico/tortie, Lynx (Tabby). blue, blue-green, or even odd color eyes. Solids when bred to Traditional point ragdolls will produce both solids and pointed kittens. Solids should not be bred to Solids, as you'll lose the pointed gene.